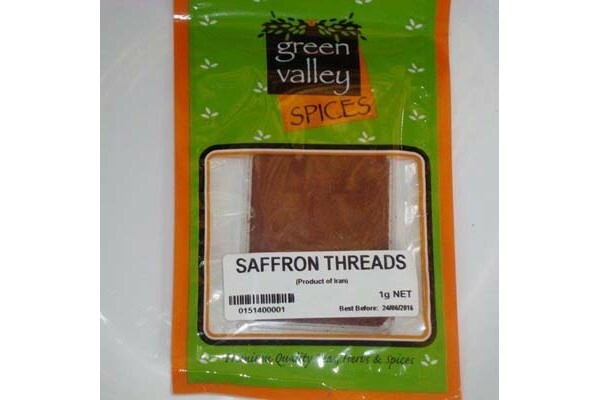 The finest quality Saffron threads. Saffron for decades the world's most expensive spice by weight is native to Southwest Asia. Saffron is a spice derived from the flower of the saffron crocus (Crocus sativus) a species of crocus in the family Iridaceae. A C. sativus flower bears three stigmas. Together with their styles stigmas are dried and used in cooking as a seasoning and colouring agent. Saffron is marked by a bitter taste and an iodoform or hay like fragrance. A carotenoid dye crocin allows saffron to impart a rich golden-yellow hue to dishes and textiles. Saffron has also been used as a fabric dye particularly in China and India and in perfumery. Saffron's aroma is often described by connoisseurs as reminiscent of metallic honey with grassy or hay-like notes while its taste has also been noted as hay-like and somewhat bitter. Saffron also contributes a luminous yellow-orange colouring to foods. Saffron is widely used in Iranian (Persian) Arab Central Asian European Indian Turkish and Cornish cuisines. Confectionaries and liquors also often include saffron.